Sparkling wines and food are a fantastic pairing. 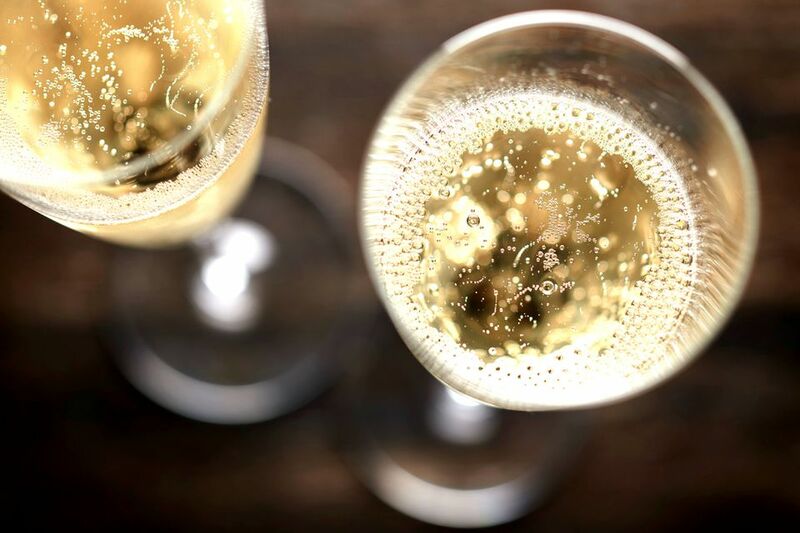 Whether it is a French Champagne, an Italian Prosecco, or a Spanish Cava, you will find remarkable food pairing options for various sparkling wines. Why are these among our favorite food and wine pairings? The innate bubbles of sparkling wines offer an added layer of pairing versatility. At the same time, the coveted acidity of the wine carries rich, butter-laden fare even further on the palate. And yet, you do not have to spend a fortune on your wine to discover a great pairing. Many sparkling wines are friendly for any budget and you'll be surprised how a little spritz livens up the dinner and dessert table. Sparkling wines come in many styles and Champagne is certainly the most popular of the lot. In general, most sparkling wine pairings can follow the suggestions for Champagne. These wines have the perfect balance of dryness, bubbles, and fruity cream to enrich any dining experience. Shortbread cookies are a really fun (and surprising) pairing combo because the acidity in Champagne cuts through the rich butter of the cookie. Rosé wines are one of the most versatile sparkling wines for food pairings. Contrary to a common misconception, rosé wines are not sweet and the majority have a perfectly dry palate that lends perfectly to sweeter food pairings. Brie and prosciutto are fantastic with a nice rosé and they're even better when combined. Smoked salmon is one of the best fish dishes for rosé wines. Chocolate and raspberries, or (better yet) chocolate-covered berries. Spain's bright, budget-friendly bubbly called Cava is a fantastic choice for savory pairings and light meals. You will find that a good Cava is a perfect wine to serve alongside tapas as well as sushi courses. Italy is known for two sparkling wines: Moscato d'Asti which is sweeter and Prosecco which tends to be dry. This gives you options and both styles are pleasantly affordable, which means they can make a regular appearance at your dinner table. Moscato d'Asti has a great perfume and light body with an extraordinary array of fruits. These characteristics allow the Italian wine to pair perfectly with delicious desserts. Prosecco has a much drier profile though it does not lose the fruitiness and it often has notes of apple, pear, and apricot. This helps the wine pair with a great variety of main courses.